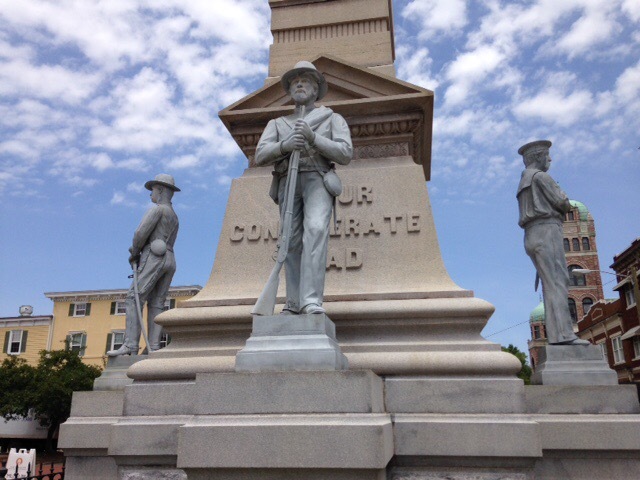 Today I am continuing my series about statues and monuments which was fueled by the controversy regarding various Confederate monuments and memorials, most which are in the South but many others in states that remained loyal to the Union, were not states at the time of the Civil War, or which were in areas be they North or South which were heavily pro-Union and which sent more soldiers to fight for the Union then they did the Confederacy. The fact is that the vast majority of the Confederate monuments, be they located in the former eleven Confederate states, or place that were not a part of the Confederacy were not built to honor the several hundred thousand Confederate dead, but to remind Blacks that they were subordinate to Whites wherever the were erected. This can be seen by the periods during which they were constructed. Only a few were built in the first two decades following the war, and some of those, including the monument in Portsmouth, Virginia were built by the wives, mothers, and children of the fallen. Honestly as to those I understand why they are where they are, and while I think that 150 years later, unless the context of their construction and monuments or historical narratives to the victims of the Confederacy and the institution of Souther Slavery are placed alongside, I am hard pressed to explain why they remain in places of honor. But honestly, those memorials are but a minority. Most of the Confederate monuments that spark such freak controversy today were erected anywhere from 30 to 150 years after the war. The periods that they were built are interesting of themselves. The biggest spike in construction began in the immediate aftermath of the Plessy v. Ferguson ruling that legalized Jim Crow and the second during the backlash against the Civil Rights Movement beginning around 1948. 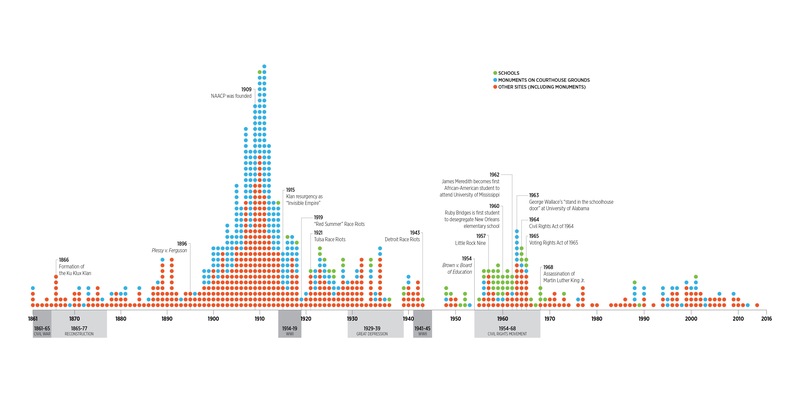 The chart below provides a good representation of when the Confederate monuments were built. As I mentioned in my first two articles of this series I am not of the opinion that the monuments should be destroyed, nor do I think that they should be torn down by protesters. I think that each monument should be examined based on its historical merit. Since the vast majority happen to be from the days of the Confederate resurgence after Plessy and in the height of the Dixiecrat response to the Civil Rights movement beginning after Brown v. Board of Education which overturned Plessy in 1954. So today I am going to use the example of the monuments in Hampton Roads area as a teaching point. 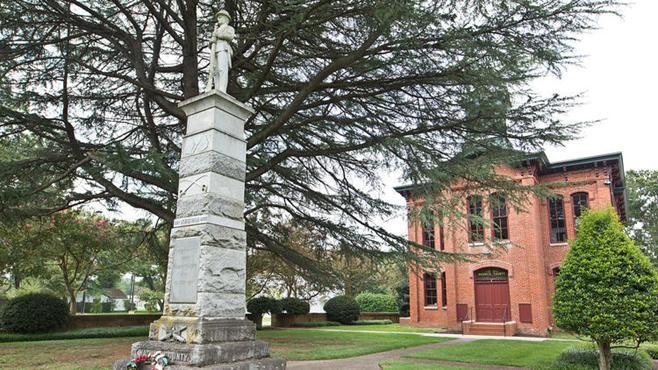 Virginia where I live has 223 Confederate monuments, the most of any state. That is in a sense understandable due to it being the largest state in the Confederacy as well as the site of its capital. There are three major public monuments located in South Hampton Roads as well as a number of monuments in local cemeteries throughout the area. The one located in Portsmouth is the oldest and the most interesting from a historical point of view. Planning and fund raising for it began in the late 1860s shortly after the war and it was dedicated on the site where slaves were whipped and punished in the town square. It was dedicated in 1893. The head of the local Sons of Confederate Veterans chapter say that it was placed there when a church where it was planned to be located backed out. I do not know the veracity of that claim. That being said the location is still problematic, especially since Portsmouth is heavily African American and many of the Black families there trace their roots to the slaves of the city’s ante-bellum times. The monument itself is one of the most interesting monuments that I have seen. It is an imposing sight in the old court square. At its center is an obelisk on which is inscribed To Our Confederate Dead. The obelisk is surrounded by four statues representing an infantryman, a cavalryman, an artillleryman, and a sailor. I think that it would fitting if this monument was moved in its entirety to a cemetery in the city where Confederate war dead are buried. It could be replaced by any number of monuments, perhaps one to the city’s war dead from the World Wars, Korea, Vietnam, the First Gulf War, and the current wars which have been going on since 2001. 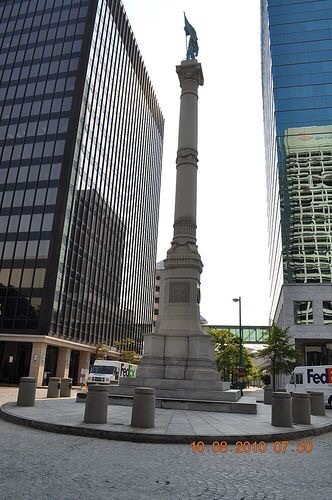 Norfolk’s monument is located within a block of where the slave auctions, the slave jail, the slave infirmary, and a few blocks from the docks where the were shipped to other destinations. This is important because Norfolk was the leading port in the slave trade from about the 1830s until the outbreak of the Civil War. The monument is over 80 feet tall and is capped by the figure of a defiant Confederate soldier holding a sword and the Confederate flag. 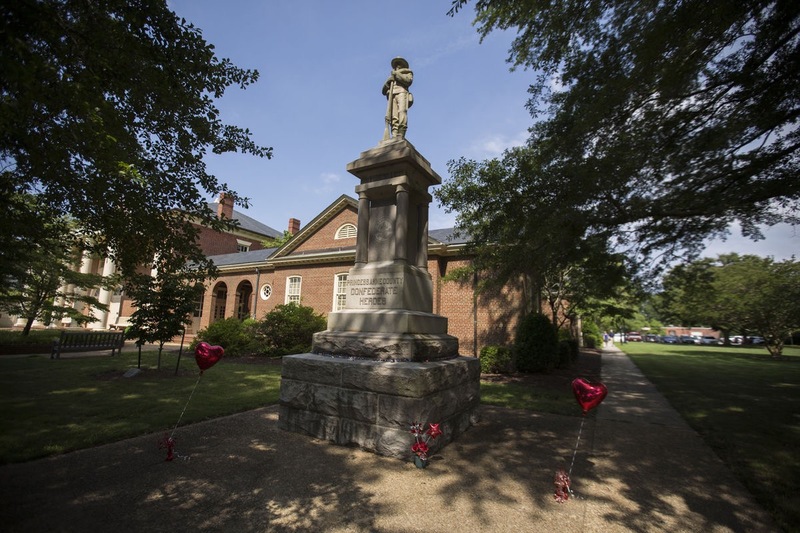 At its base are engravings of the Confederate Battle Flag and a dedication to Our Confederate Dead. Despite those words this monument can only be described as a monument to White Superority and should be removed and replace with a monument to all of the city’s war dead. The statue adorning the top could go to a museum. In Virginia Beach the Confederate Monument is outside the old Princess Anne County Courthouse where slave auctions were held, and which is on the grounds of the current Virginia Beach Municipal complex. In older times it would have been seen by all entering the city hall or courts for any reason. It is over 20 feet tall and topped by the statue of a Confederate infantryman. Unlike the other monuments dedicated to the dead, this one is dedicated to Our Confederate Heroes. Now it is in a distinctly less visible location and one has to go out of their way to find it. I think it could remain where it is but only if there was monument to the victims of slavery who were bought and sold there. That would provide context for it. That monument was erected in 1905 during the height of the re-establishment of White Rule and White Sumpremacy after Plessy. One other, in the Denbeigh section of Newport News stands at site of the old Warwick County Courthouse. Denbeigh was named after the Denbeigh Plantation and the county seat was moved to Newport News when Denbeigh and Warwick county consolidated with the independent cit of Newport News in 1958. The courthouse is now a museum and the monument was dedicated in 1909 to the men of Company H, 32nd Virginia Infantry Regiment. The regiment, recruited from the Peninsula in early 1861 had a number of companies farmed out to the artillery was reconstituted as a small, 7 company regiment in 1862. It was decimated at Antietam and served to the end of the war with the Army of Northern Virginia where five officers and forty-two enlisted men surrendered with Robert E. Lee on April 9th 1865. Since this monument is dedicated to a specific unit which distinguished itself in numerous engagements, including Antietam, and Petersburg that relocating it to one of those battlefields would be completely appropriate. Admittedly all of these monuments served a twofold purpose, in the case of Portsmouth, from what I have read was that those who began to contribute money for the monument was to honor the fallen. By the time it was built that purpose was also mixed with the political desire of many whites to re-establish White Supremacy. The same is true with the other monuments in the public square. As to monuments located in cemeteries where Confederate soldiers are interred it is only fitting that they remain where they are. As to what should be done with each monument there are options, but what can actually be done with them are dictated by State Law which stipulates that localities can erect monuments but cannot “disturb or interfere with any monuments or memorials so erected.” That is a problem for the Virginia legislature to deal with and truthfully I believe that they should amend the law to allow municipalities to remove, alter, or relocate monuments. As a historian I think that all can serve as teaching points and that whatever is done with them that their context in relation to slavery, the Civil War, Reconstruction and Jim Crow needs to be clarified as part of teaching history and in the process expunging the myths of the Lost Cause and the Noble South from the historical narrative. I want to make a couple of points. First I do not think it is wrong for the relatives and descendants of those who fell in any war to want to remember them. I have traveled throughout Europe and I have seen the monuments in city squares that list the dead from wars dating back to the Napoleonic periods and before. Even if I disagree wth the cause that they fought for I will not forbid their descendants to honor their memory, even if I refuse to honor the military service of my ancestors who rebelled against the Union in 1861. I think that the Confederate monuments in Portsmouth, Newport News, Norfolk, and Virginia Beach can serve a purpose greater than for which they were originally constructed. I have described what I think would be best done with each, but I believe that with some modifications that each could remain where they are now so long as there are monuments to those who were the victims of slavery, those who were the unwilling conscripts recruited for that immoral and inhuman cause, and those who opposed that cause, before, during, or after the war. The same is true for many other of the Confederate monuments throughout the South. But, at the same time we have to address the monuments to Confederate leaders which built during the same time period as these generic representations of Confederate soldiers. The fact is that the leaders of the Confederate rebellion against the United States are much more responsible for the deaths of three quarters of a million soldiers and the devastation of the South than any ordinary soldier. These leaders include the Confederate President, Jefferson Davis, secessionist politicians like Henry Benning and Alexander Stephens, and military leaders like Robert E. Lee, Stonewall Jackson, and Braxton Bragg. I see little reason for monuments to men who were responsible for such great suffering to remain in places of honor. But honestly even this is not enough, for to fully tell the story we have to also honor the Southern Unionists like George Thomas and John Buford who did not forsake their oaths the the country, and men like Robert E. Lee’s lieutenants James Longstreet, Richard Ewell, Billy Mahone, and John Mosby who fully reconciled to the Union, and who were deomonized and then written out of Southern history. So anyway, I will deal specifically with monuments to Confederate leaders another time, but I think this is enough for now. That being said, any monuments to the leaders of the Confederacy or those who served during that rebellion need to be held to the bar of history, otherwise we mock all of their victims, and yes, even the sacrifices of the innumerable Johnny Rebs who died in a war that most had little or nothing to gain from. I have visited the Revolutionary War Saratoga battle site on the Hudson River in New York. One of the heroes for America in that battle was Benedict Arnold. when the time came to erect monuments to the American heroes, they refused to honor Arnold because he later betrayed this country. The best he got was a statue of his leg on the spot where he was wounded in the leg. The niche in the obelisk where there would be a statue of him is empty. The other American leaders are honored with statues. No country should honor any soldier or statesman who fought against it. How many statues of Santa Anna have been erected in Texas. is there a statue honoring Cornwallis? I know this gets complicated because our history is complicated. There are statues of Native Americans who fought against US troops but they were never citizens who betrayed us.